World Cleanup Day, 15 September, saw the launch of a new campaign by volunteers of the Peace Forum in Ramadi. 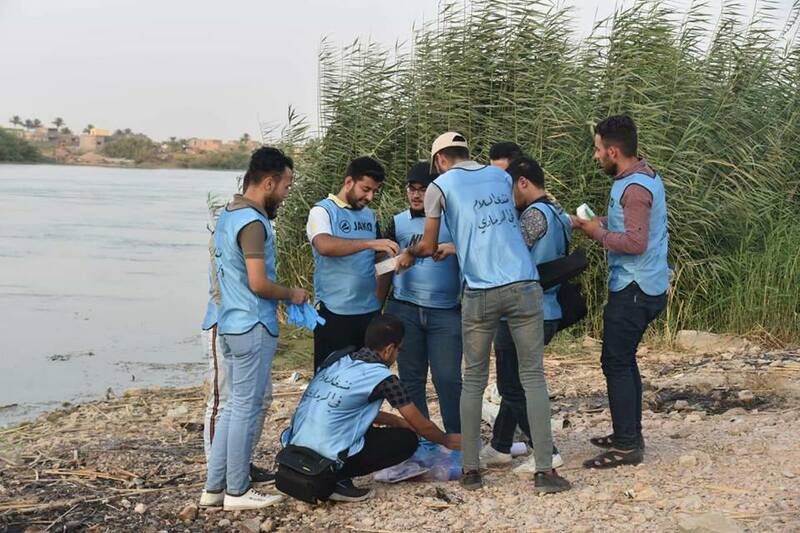 They plan to defend Euphrates River against pollution, and they have joined up with the Ramadi Police Directorate, Ramadi Municipality and Anbar Environment Directorate, all of whom have shown spectacular support for the campaign thus far. Volunteers held an introductory session on the banks of the Euphrates to explain the aims of the new group — called Humat Euphrates (Euphrates Protectors) — in hopes of encouraging more people to join with them in their mission to protect the Euphrates River. Several representatives from the Environment Department of Anbar participated in this meeting, and expressed the department’s full readiness to cooperate in activities aimed at preserving the environment. They urged the youth who had gathered for the session to work hard to raise awareness about the environmental reality in Ramadi, and in Anbar province more generally. 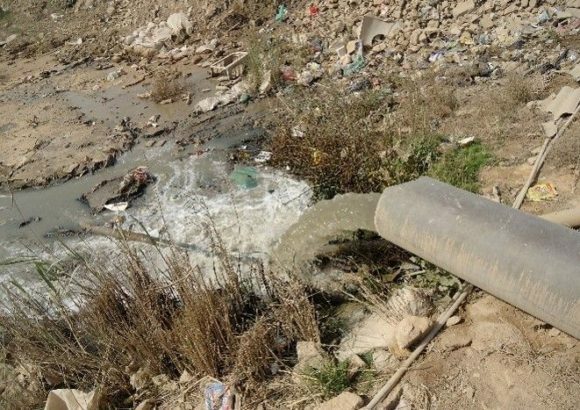 Officials from the department highlighted the severe levels of pollution now found in the river, noting the visible waste that floats on the surface of the water, as well as the invisible but equally damaging effects of heavy water, which is often dumped into it. The 15 members of Humat Euphrates team then took to the streets of the city and distributed brochures and posters which spread information on the importance of hygiene, environmental protection and pollution reduction. The team also carried out a clean-up campaign alongside municipal street cleaners, including Sidna Omar Street. The campaign was warmly welcomed by residents, and many people in Ramadi made clear how much they appreciated the efforts of all those who are working to improve their city. The activities of the Ramadi Peace Forum are in cooperation with the Iraqi Social Forum, Information Center for Research and Development, the Iraqi Civil Society Solidarity Initiative, and The Italian organization, Un Ponte Per…, and all fall within a project funded by the Swiss Foundation, FAI. Registration For the 1st Mesopotamian Water Forum is Open!